Having access to valuable marketing resources, you may find yourself applying different strategies, aiming to strengthen your event's brand awareness and increase your attendance rates. However, between Facebook ads and blog posts written by influencers, you may discover that you're missing something. The intangible factor that determines the success of your event marketing campaign is understanding your potential attendees’ emotions. You can use social media as much as you want, market the speakers endlessly, or offer free tickets to a certain number of attendees, but if you don’t know the language of your target group’s emotions, you may as well not even promote your event. Obviously, you‘re not psychic, so you can’t guess how your audience feels. You can, however, pick up a few tricks from neuromarketing. Let’s explain it like this: Say you want to buy some potato chips, so you head to the store and find a few different brands on the shelf. After pondering a bit, you settle on a brand and toss it into your shopping cart. Neuromarketing is the science that will study—and subsequently explain—why you made this specific decision and how other potato chip brands can improve their branding and make their packaging more effective. According to Dr. Thomas Zoëga Ramsøy, "The term ‘neuromarketing’ is believed to be first coined by Ale Smidts, now a Full Professor at the Department of Marketing at the Rotterdam School of Management in Holland. The term itself is defined as a part within marketing that studies the effect of marketing stimuli on consumers' sensorimotor, cognitive, and affective (emotional) responses." Sounds weird, doesn’t it? You’d think that your job is to design an event that gives your attendees a pleasurable experience. True, your event must assure a higher degree of satisfaction. But when planning your marketing campaign, it may be more beneficial to highlight the pain your event can relieve, not the joy it can bring. In other words, we respond quicker when it comes to avoiding a potential risk or pain than we do to seeking pleasure. So what does this mean for your events? Instead of promising a delightful experience, unique locations, and extraordinary speakers, focus the narrative on solving a burning pain your attendees may have. If you’re planning an event for freelancers, for example, you could design a message that revolves around helping the attendees to get rid of the imposter syndrome. To plan a memorable event and to achieve a bigger impact, try to connect to your attendees’ emotions. You can do this through storytelling, for example, a technique responsible for releasing different neurotransmitters (such as dopamine, oxytocin, or endorphins) in attendees’ brains. The brain hates unresolved mysteries or cognitive dissonance. As humans, we feel compelled to find different patterns or connect the dots. According to professor Robert Cialdini, when we create ambiguity, we manage to attract the attention of our target group. You can use this technique when drafting your event’s marketing plan. For example, if you’re thinking of launching a Facebook ad for your event, use a photo that has nothing to do with the event. This probably surprises you, but it actually works. As entrepreneur and #1 Medium writer Benjamin Hardy highlights, it’s always recommended to combine your message with a random photo. By doing so, you’ll create dissonance in the minds of your target group and make them pay more attention to your advertising. There’s nothing more compelling than engaging the senses of our guests. Be it through visuals, textures, sounds, or scents, you have many opportunities to enhance the experience of your guests by designing a powerful memory. By doing this, you’ll transform your conference or concert into a memorable event, predisposing the attendees to enjoy it even more. 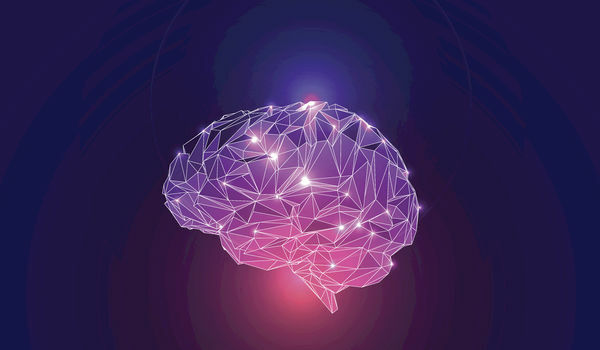 Although it’s still a relatively new concept, neuromarketing has become a powerful source for knowledge and valuable insights about the human nature and psychology. Now more than ever, we are starting to understand the key drivers that motivate people to act, react, or behave in a certain way. So feel free to explore all these tips and see how they will affect both your event’s marketing campaign and the experience of your attendees.